IFBB Pro Erik Fankhouser hasn't stepped on stage in over 18 months. What's it going to be like after this long wait? 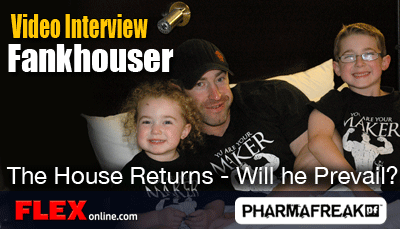 Erik “The House” Fankhouser has always been bodybuilding’s underdog. Erik is the bodybuilder that is low key, humble, genuine…the guy you want to hang out with after work and the guy you cheer for when he competes. And in the end you really don’t even care about his placing because he’s so nice. Erik’s career so far has been a rollercoaster of highs and lows. With high hopes after his 2007 win at the North Americans, his 2008 Pro debut fell flat with an 11th place finish at the Europa. He regrouped, tweaked his diet and placed a respectable 5th at the 2010 NY Pro, which won him a spot at the Olympia, his ultimate dream, and a feat few achieve just 3 years after turning Pro. However, he showed up to the Olympia having lost too much size to compete at that level. Since this disappointing placing at the 2010 Olympia, he’s been working to add more size and, more importantly, to not lose size during his contest prep. Teaming up with UK-based nutritionist Neil Hill seems to have done the trick. Neil has Erik eating a lot more during contest prep. Erik’s loyal Animal/Universal fans are waiting to see what’s in store Saturday.